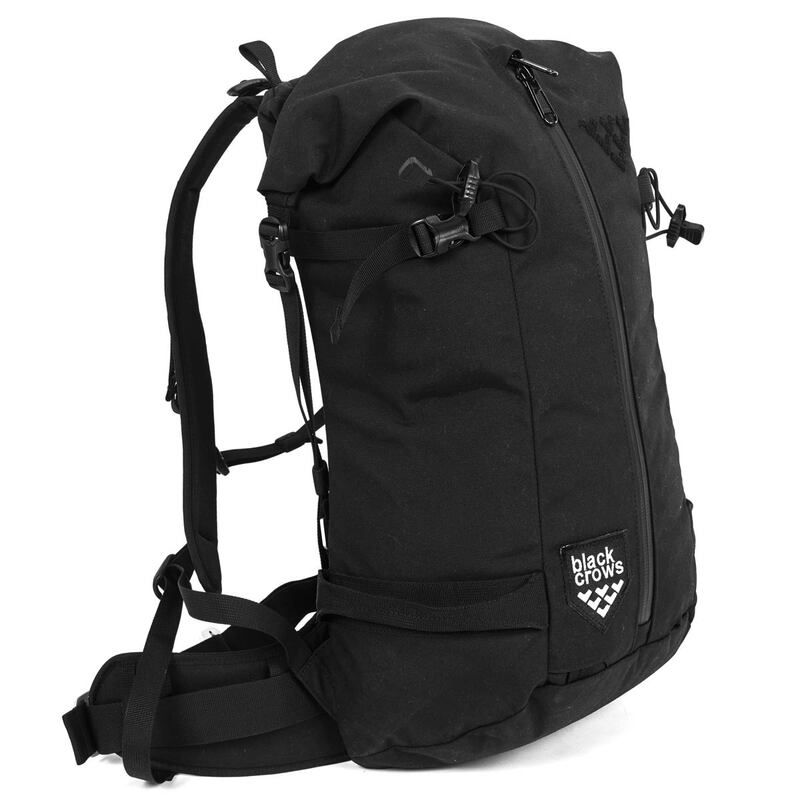 Because Black Crows doesn't do anything without style, The Dorsa 27 is a high performance, technical backcountry pack designed with the simplicity and elegance of an urban commuter bag. Built in collaboration with world-class Chamonix mountain guides, the 27-liter Dorsa can carry all the gear you need for a full day above treeline--including skis in either an A-frame or diagonal orientation. Inner gear pockets keep your avy tools separated, while the simple rolltop opening is suplemented with a long front zipper for quick and easy access. Comfortable straps, carefully thought-out details, and a bombproof construction make the lightweight Dorsa 27 the bag of choice for big mountain explorers.